Eaten on a Tuesday and Wednesday. And repeated again today, on a Sunday. And also a short discourse on how ideas are formed – one of the most intriguing things ever. How are synaptic connections made that generate so much possibility? I was on my way home a few days ago when I drove past a restaurant. ‘Traditional Kitchen’ it said. And for the weirdest reason I thought of snails. Peppered snails and my dad, the king of cooking and eating snails. I don’t know how many snails I’ve rid of shells in this short life of mine. Many, very many is a good estimate. And then I thought of Jollof rice. See the last few pots I’ve put out have been totally amazing. Red, well-spiced and smoky to boot. I think I’m finally getting the hang of this thing. And then I imagined bits of snails, peppered, crunchy embraced by red grains of rice. There, right there was an idea. I could hardly wait to get home to try it out. 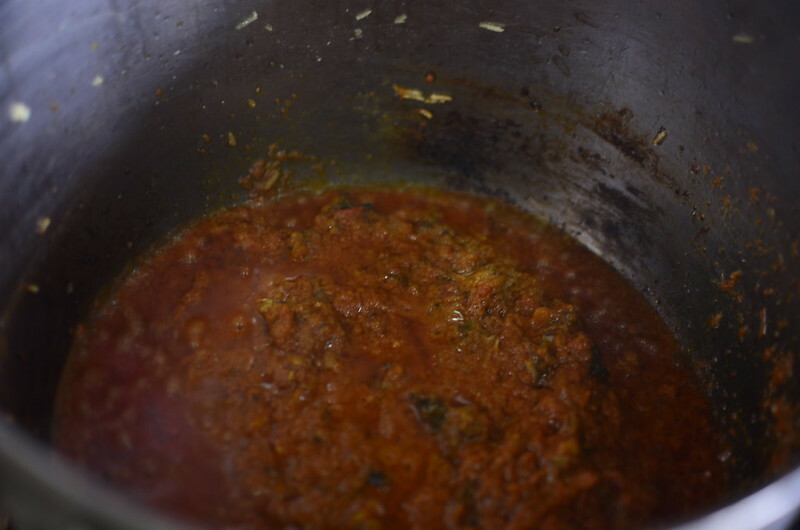 To simmer rice on heat low and let grains absorb all the flavour of fried stew. I think part of the reason it occurred to me was, I had snails in the deep freezer. Thinking about other situations where I’ve been creative in the past, I realise the availability of the elements spurs me on. Not only with food. When I’m surrounded by things I find beautiful or interesting, I find a way to deepen that bond, because I see them and am confronted with how much I love them. That pushes me to explore ways to immortalise or at least capture their essence. So when I am surrounded by lots of beautiful fabric, I make art of them on the wall or cover seats and cushions with them. Sometimes I forget I have the fabric and it stays locked away in a box till one day, I see a piece in a book, magazine and my memory is triggered. I fish them out and the cycle stars all over. The fact that I’ve cooked a good number of pots of Jollof rice in the past months that have bee downright amazing reminds me too of a time when my Jollof was a disaster. 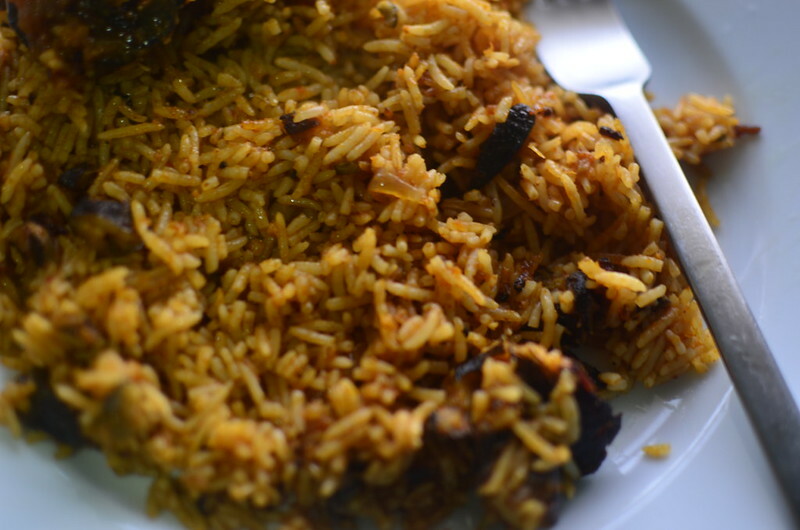 Anyways, enough of my rambling, let’s talk Jollof. 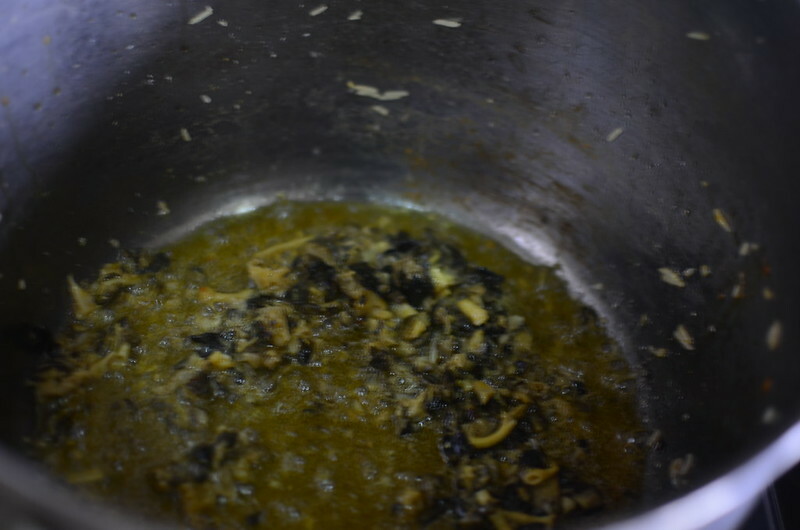 The dish begins with cooked snails, chopped up roughly in the food processor, fried lightly then cooked in the ‘stew’. 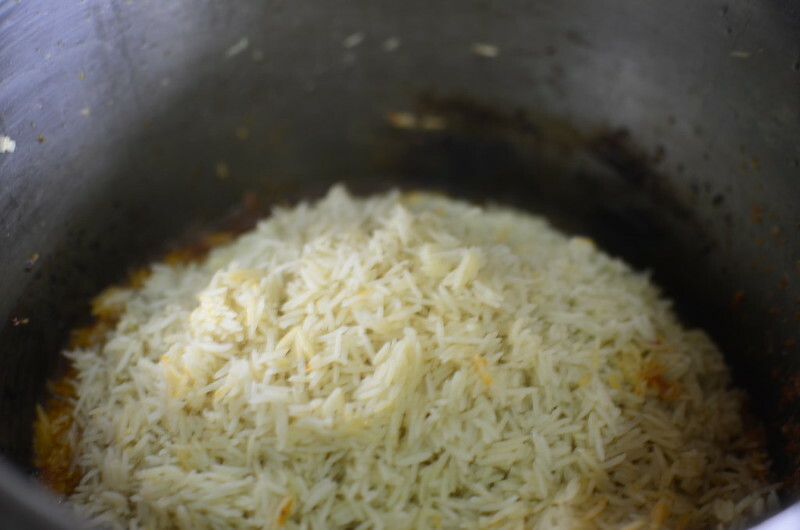 Soaked, par-boiled basmati rice, cooked in stock goes in the frame. And then stirred together thoroughly, till the grains are coated in orange. This is the best time to mix well when the grains are hard and there is little risk of breaking them and turning the dish to mush. I didn’t quite plan it like this but it turns out I’ve happened upon the way to may ‘dry jollof’. 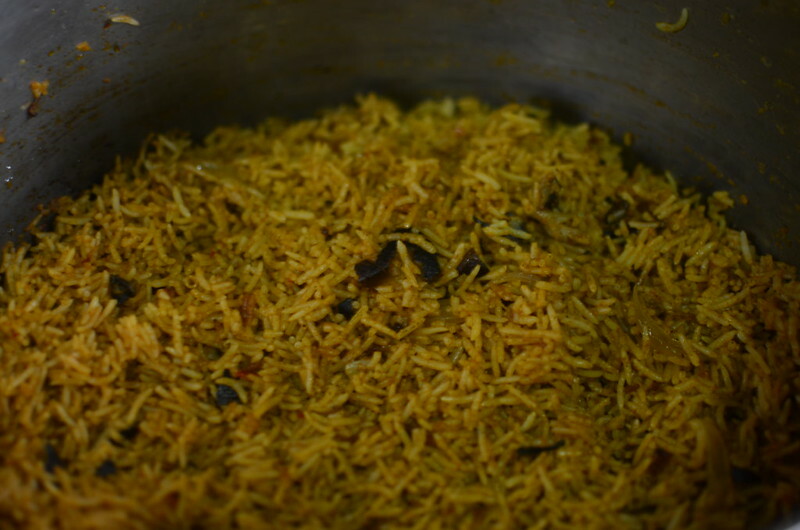 That manner of red rice that appears as though each grain was cooked on its own. I always wondered in The Netherlands, when Bose, our go-to cooking lady made us rice how she got this texture. The key? No liquid visible once you’re done combining rice and sauce. To illustrate, if you pull a cooking spoon through, revealing the bottom of the pot, you shouldn’t see any liquid. 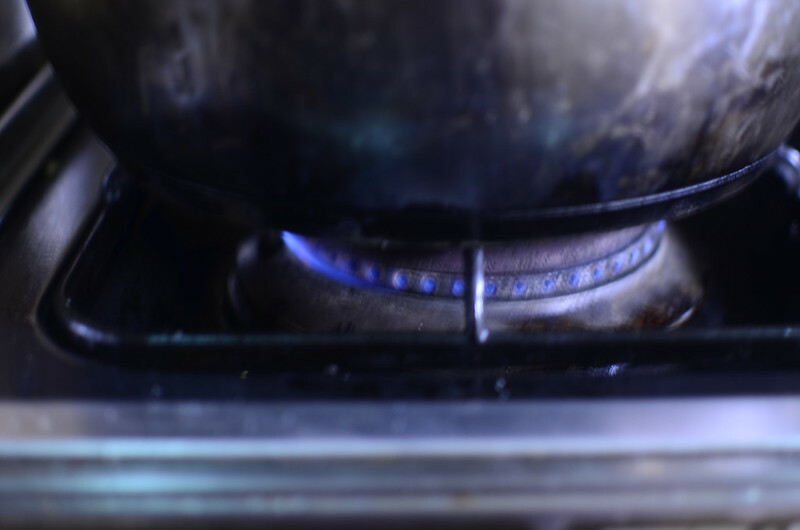 And then, it’s a matter of cooking on the lowest heat possible so the grains soften by ‘steaming’. Once the rice is cooked, I like to head up Smoky Avenue. 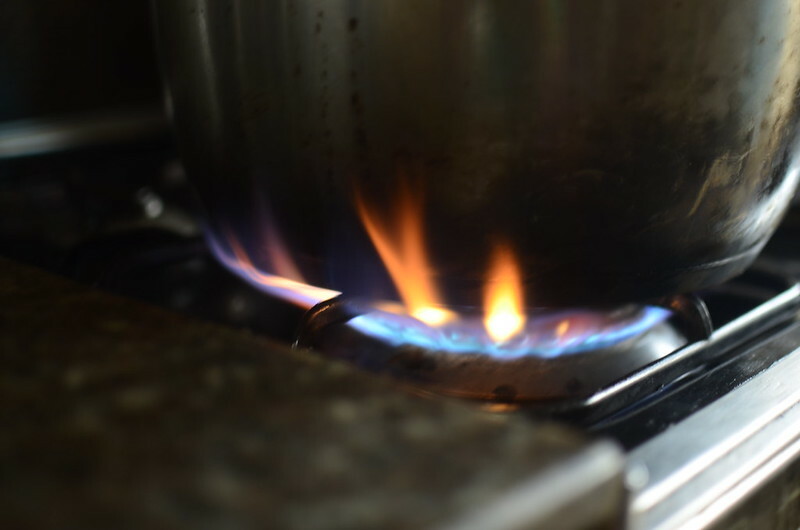 I turn up the heat from simmer to smoke…and yes, my cooker probably needs cleaning. And then the sizzle, sazzle starts. The rice grains toast, and perchance burn…to give a rich, smoky flavour that pairs well with the spicy rice. I mean listen to those sounds – ain’t that a beautiful thing? In no time, the rice is ready and boy, is it ‘more’. In a world where snails on the plate are never enough – in my world anyways, this makes e’thang alright. I mean you pick up chewy, crunch, fried, sweet, peppery, smoky with every bite. 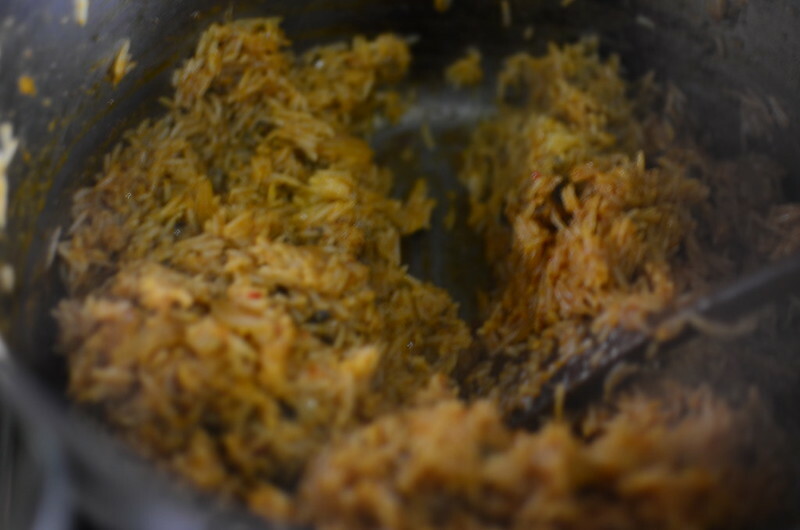 Next time, I’ll explore with a different rice/ more liquid in the mix to see the outcome. I hope I can establish ratios for the perfect pot of Jollof Rice. Till then – the recipe.